Following this week’s approval of the Tax Cuts and Job Act, there will be changes to property tax deductions in 2018. Here, our RDG+Partners tax experts answer some common questions about whether it is beneficial to prepay 2018 property taxes before the end of 2017. SHOULD I PREPAY TAXES IN 2017 IN CONSIDERATION OF THE NEW TAX LAW? This is a question we have heard many times over the past few days. Now that the Tax Cuts and Jobs Act has passed Congress and is awaiting the president’s signature, we have analyzed the law and determined there may be a benefit for prepaying real estate taxes before 12/31/17. The new law limits an individual’s deduction for state and local taxes, both income and real estate, to $10,000 for tax years after 2017. For taxpayers in high income and real estate tax states, such as New York, New Jersey and California, this will likely be a significant reduction of itemized deductions. The new law further states that “an amount paid in a taxable year beginning before January 1, 2018, with respect to a state or local income tax imposed for a taxable year beginning after December 31, 2017, shall be treated as paid on the last day of the taxable year for which such tax is so imposed.” This effectively means the prepayment of 2018 income taxes by 12/31/17 will not result in an additional 2017 deduction. However, the language of the law does not prevent the prepayment of real estate taxes. Taxpayers who will lose out on deducting a portion of their real estate taxes in 2018 should consider prepaying real estate taxes by 12/31/17 to avoid the limitation. NOTE – while this strategy of prepaying real estate taxes may help some taxpayers, those taxpayers subject to AMT will not see a benefit from the prepayment of real estate taxes. HOW DO I PAY PROPERTY TAXES EARLY? Paying the entire bill this year presumably would allow you to deduct your entire property tax bill from your 2017 federal taxes. That’s important if you expect your state and local taxes will be greater than $10,000 in 2018, which means not all could be deducted. 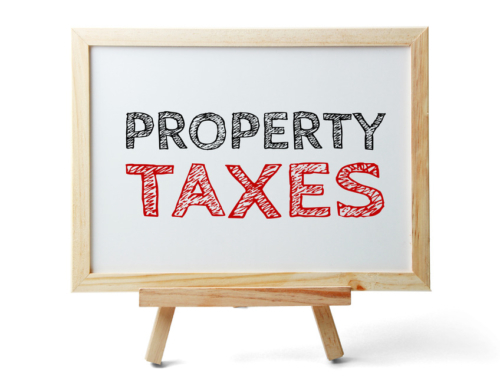 If you pay your property taxes yourself, contact your county tax collector’s office. Many real estate property tax websites allow you to make a payment online, or you can pay by mail before 12/31/17. If your real estate taxes are paid via escrow, you should contact your mortgage company to see if a payment in 2017 is possible. The logistics of prepaying your real estate taxes will need to be determined on a case by case basis. We have heard that some tax collectors will not accept a payment until they have issued the actual bill, others will not accept partial payments, and some will not accept payments until after 12/31/17. If you are a resident of Monroe county, click here to obtain additional information. If you have questions, please contact your RDG+Partners tax professional.